Owning a pool can be a source of joy, happiness, and fitness unlike any other amenity in or around your home. However, with great joy comes great responsibility; someone is going to have to keep that pool clean. You could do it, or you could hire a professional. At Sunrise Pool Services in Alpharetta, we have seen clients who haven't learned to take care of their pools, and it's not a pretty sight. Here are some good reasons to hire a professional pool service. Having too much time on your hands is really a foreign concept for most people this side of the River Styx. Pool maintenance professionals can do the job while you are at work or otherwise engaged in some other activity. Then, you can spend your downtime by the pool instead of cleaning it. If you have teenagers, you might be inclined to make them take care of the pool as an assigned chore. However, you should remember that taking care of the pool requires using chemicals that can be dangerous. While it might be okay to have your kids skim the pool and fish out large debris, it may not be the best idea to have them handle the chemicals that could be corrosive or worse. 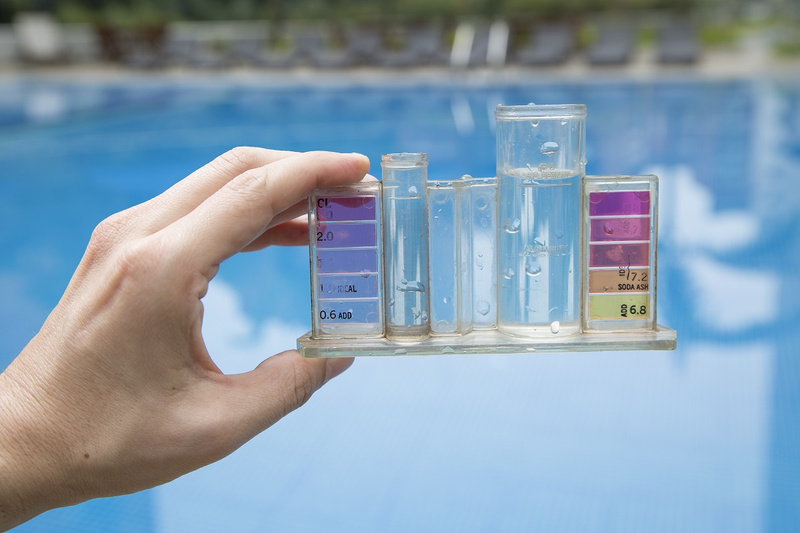 A pool maintenance company will know how to handle all of the chemicals safely, and you won't have to worry about having a store of dangerous chemicals on hand. The best reason to get a professional to do your swimming pool care in Alpharetta is so you can save money. Professionals can help you find problems before they get out of hand. They can also make sure that the proper maintenance is done so that your pool will last longer. Perhaps best of all is that the time you save you can count toward making your life a cabaret!